Seb Coe is at a crossroads. What should have been the role he was born for, the IAAF presidency, he has instead inherited a poisoned chalice. The 2016 Olympics could be the most pivotal for track and field athletics in its history. The Russian systemic doping and the IAAF blood doping scandals, coupled with”The Justin Gatlin” situation have come together to create a perfect storm. That the way in which Lord Coe reacts to this pivotal moment will shape the future of athletics is obvious. His reaction to the leaked blood data by attacking the “so-called scientists” is as odious as the people who attacked the Danish government over the Mohammed cartoons instead of the people who were threatening free speech in a sovereign country with violence. However, Lord Coe is a skilled politician. Maybe he can turn this to his advantage. Let me hypothesise what he could do to make the (Athletics part, at least) 2016 Olympic Games credible. Imagine a news analysis report, post-Olympics, in praise of the efforts to clean up the sport. The report below is obviously fiction. It will be a long climb before the public truly accepts athletics as a completely clean sport, but this Olympic Games has shown everyone the brave and cathartic process through which all sports must pass. 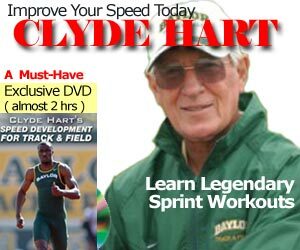 However, we can say with some confidence that this was the cleanest Olympic athletics in history. 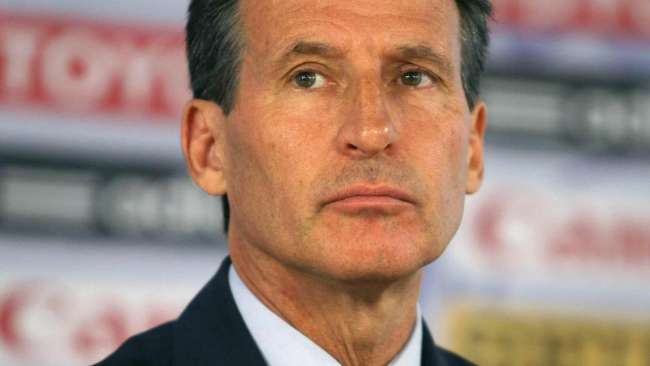 Lord Sebastian Coe has run the gauntlet of unpopularity and the vilification from some within his sport for the totalitarian stance he has taken. In a recent interview, he explained his reasoning. Lord Coe was of course referring to the scandals that ripped through athletics last year, including the Russian and IAAF exposé in the media and the close shaves of the Justin Gatlin affair. There are many, athletes and supporters alike, who feel his draconian approach robbed them of dignity and punished the innocent. Some, unkindly, compared him to one of his heroes, Margaret Thatcher. That his initiatives have cleaned up the sport though are undeniable. A record number of tests have been conducted. A record number of athletes caught and banned or suspended. His transfer of anti-doping testing regimes and penalties to WADA was almost unopposed. It passed through almost underneath the radar after his momentous u-turn when he employed the two scientists he had admonished during the IAAF blood result scandal as his personal advisers. His act of genius was to turn the tables on the sponsored. In a stroke that was the equivalent of when Lucozade reimagined itself from a drink for Ill people into a sports drink, Coe forced the sponsors to earn their association with his beloved sport. When the behemoth sportswear firm Nike refused to play ball, a plethora of the smaller firms stepped in. Companies like Saucony, Brooks and Under Armour suddenly found themselves with deals that involved them sponsoring the anti-doping programmes and receiving huge amounts of coverage in return. Adidas saw the opportunity to take advantage and did so. If this were all that Coe had achieved, it would have been laudable. There would have been a minority of political negativity, but the grassroots, the media and the athletes would have been fully behind it. The ones that hadn’t suddenly retired that is. A sign of what was to come should have been seen with the rebadging of the Diamond League as a clean competition. All athletes that ran had to have full blood passports to compete. Samsung, to its eternal credit, fully supported this scheme. The responsibility had moved to the athlete. Now, testing was their responsibility, not just the governing body. The athletes that bemoaned the whereabouts system were up in arms of course but if you want to earn money in the Diamond League, you now had to invest in your blood passport. But that wasn’t the end, it was only the appetiser. The entrée, the coup de grace, was still to come. Coe’s killer blow was to force any athletes caught doping to be immediately subjected to a full suite of independent testing by WADA scientists. Then in a move borrowed from the NFL, the athletes had to submit themselves for testing three times a week as well as random testing. Indefinitely. If they failed to maintain this, they received a life ban. If they failed any test, they received a life ban. They had to be on the programme for a minimum of two years. But the most controversial aspect, if the programme wasn’t controversial enough, was that the athlete, or their sponsors, had to fund the testing. This caused an obvious outcry but Coe was unrepentant. The impact of Coe’s programme, in just 12 months has been fundamental.